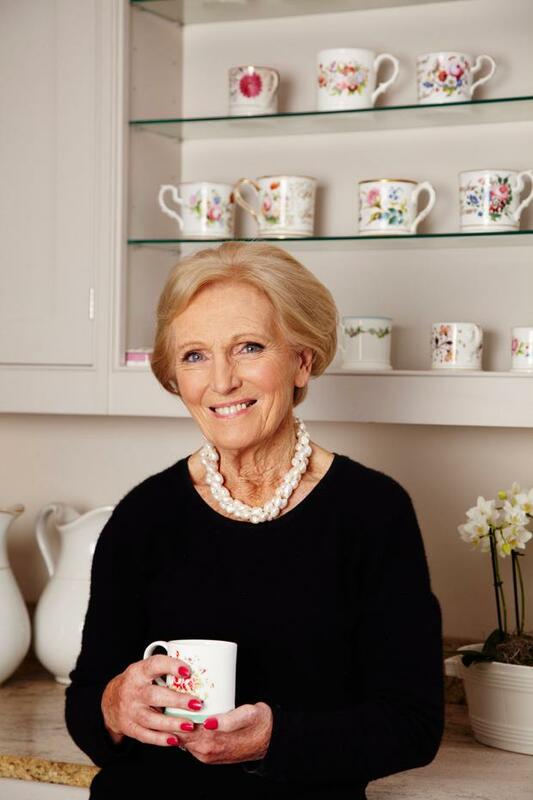 Mary Berry is heading up the ‘Dare to Dairy with Mary’ competition, a chance for people to bake an ‘afternoon delight’ that could be showcased at the National Ploughing Championships. ‘A pair of wellies. Fantastic, I’m going to write that down,” says Mary Berry. We are discussing her impending visit to the National Ploughing Championships in September as a guest ambassador with The National Dairy Council. I advise her to come prepared. “I gather it’ll be much like going to one of those muddy festivals,” she muses. Now, there’s a thought: Mary Berry knee-deep in mud, loud music and hedonistic youngsters; not your average weekend jaunt for an 83-year-old but then, we’re not talking about an ‘average’ octogenarian. An international institution, Berry is the doyenne of family cooking and domestic values and, like a good sherry, only improves with age. She is, it turns out, exactly as you’d want and imagine her to be from her on-screen persona: polite, youthful, friendly, sharp, self-effacing and delightfully unfussy, with a busier diary than most people half her age. “You know, I’ve ploughed too,” she says proudly. Really? “Yes, on my last television series Mary Berry Classic, I learnt to plough with Percheron horses. I was stuck in there, in a field in my wellies,” she laughs. In her role as ambassador for the National Dairy Council, she is heading up the ‘Dare to Dairy with Mary’ competition, a chance for people to bake an ‘afternoon delight’ that could be showcased at the National Ploughing Championships. Entries can be sweet or savoury, as long as they contain dairy produce, and the judging panel will also include Chandima Gamage, Head Pastry Chef at Dromoland Castle, and food writer Lilly Higgins. Three finalists will get to meet the queen of bakes herself and win a voucher for Ballymaloe Cookery School. Practical and to the point, Mary advises anyone entering to “practice the recipe”. “It must be the very best of Irish dairy produce and the best of its type, whether that’s a quiche, tart or cake – we don’t want to see curdled custard or separated filling, the pastry must be beautifully done, it has to have great flavour and look appetising. No soggy bottoms,” a Mary Berry-ism that is synonymous with her Great British Bake Off mantle, prompting me to raise the question, somewhat tentatively, of my own soggy bottom. I pre-empt it with the fact that I believe my oven is “on the blink” – that classic workman blaming his tools excuse – since most of my sponges and cakes seem to sink in the middle like a melting Baked Alaska (just for the record, my oven is on the blink). Do it at a lower temperature for longer, she advises me. 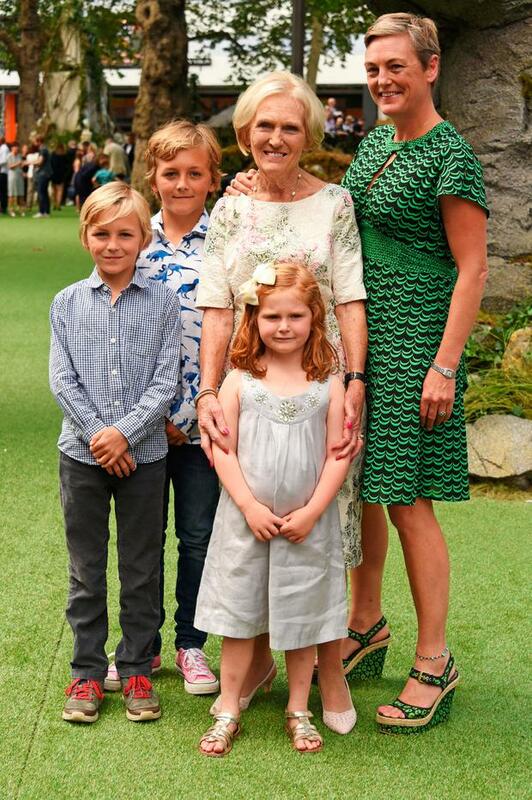 Mary’s own greatest coup is winning the Best TV Judge award at the National Television Awards last year but she’s even prouder of her grandchildren who “work very hard at school”, she tells me. There is no disputing her love for her family. Where does she get the energy? “I’m quite lucky really,” she answers, somewhat modestly. “I have good genes, my mother died at the age of 105, but I do look after myself.” I’m wondering how, after sampling so many of those cakes on The Great British Bake Off, she manages to stay so slim. “It’s quite simple, I just make sure the next meal is small. I don’t believe in cutting out certain foods, a little of everything is good for you. There’s nothing wrong with a slice of cake with tea, which I enjoy most afternoons, or strawberries with a big dollop of cream, but just don’t be dipping into the biscuit tin all day. Moderation is key,” she adds in that no-nonsense manner we have all come to know, love and rely on. 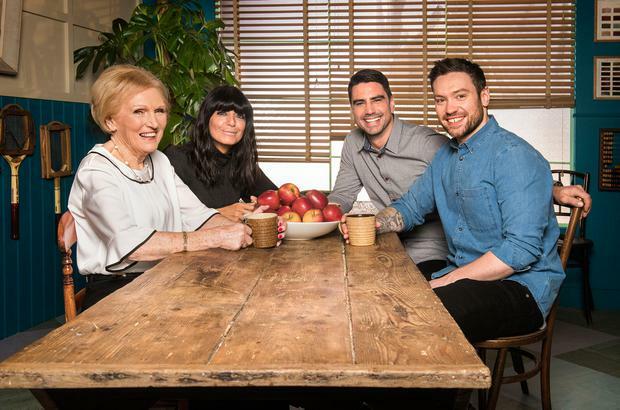 The good cop to Paul Hollywood’s bad cop routine, Berry was the caring grandmother, shepherding contestants through seven series of The Great British Bake Off. As much as she ‘loves and respects’ Hollywood, her decision to stay with the BBC after the show moved to Channel 4 earlier this year was one of principle. She grew up with the BBC and was determined to remain loyal to the broadcaster. Bake Off was wonderful as it got people baking she tells me, but is quick to champion her new BBC show Britain’s Best Home Cook, which invites amateur home cooks to test their skills against one another through a series of challenges. Has there been any outstanding dishes, I ask? “Lots. One of the challenges was to create the ‘best burger’ and I was blown away by what was created: there was beef, of course, but lamb and even game.” And, what of the kitchen disasters? On this she’s reluctant to critique. In that genteel and modest manner, she sidesteps the subject. It’s clear Berry doesn’t do social media. She’d much rather spend her time gardening, or playing tennis, although, she admits, she’s not very good at the latter. What else is she not good at, I wonder. She pauses, reassures me that there’s plenty and then shouts to her assistant Lucy Young who is busy organising her wardrobe for the latest series. “What am I not good at Lucy?” There’s chuckling. “You’re good at everything Mary,” laughs Lucy. Berry calls her a “creep” and then, sheepishly, Lucy admits she can be impatient. “Oh, how rude,” giggles Berry. “She’s also terrible at saying no,” declares Lucy. Their relationship is less boss/assistant, more friend/collaborator. Young has been by her side for over 25 years, co-written more than 20 of her 70-plus cookery books and has helped her launch her Aga cookery school. Lucy came on board following the death of Berry’s son William, who died in a car crash in 1989 at the age of 19, when Mary decided she wanted to be at home more with her other two children and needed some help writing and recipe testing for her books. Coping with William’s death has given her a steely resolve, the ability to remain unruffled in pressured situations. She doesn’t do stress, even if faced with kitchen calamities. Berry has always forged her own way. Throughout our interview, I’m struck by both her guileless, easy-going manner and her ability to deliver her opinion in that slightly brusque, no-nonsense way, which informs her attitude towards food. As a child, she spent some summers travelling around Ireland and returned later to give some cookery lessons while running her Aga cooking school but hasn’t been back since. “I’m looking forward most to meeting people and food producers and tasting some good Irish food. Irish stew is one of my favourite dinners, even better with a chunk of soda bread. My mother used to make it when I was young and I still make it for my children and grandchildren.” She likes travelling but is happiest at home. British food is her favourite. “We have such wonderful produce here: great dairy, vegetables, fruit and meat, all homegrown so we know where it comes from which is hugely important. You just can’t beat a good crumble or pie with homegrown berries or a stew with neck of lamb,” she remarks excitedly. And of course, the afternoon tea and slice of cake. No guessing what her dinner-party menu might include: plenty of British, easy-to-assemble dishes, and prepared ahead, so she could spend more time with her guests. “I’d probably do a gravadlax for starters and maybe a chicken casserole for mains and probably a lovely boozy trifle that could all be made the day before.” She has a few shortcuts that she likes to adopt when pressed for time. There’s nothing wrong with shop-bought puff pastry, she admits, but prefers to make her own short crust. Apart from her family, Judi Dench would be her ideal dinner guest. “She’s got such a lovely chuckle and is so brilliant at what she does. I think she’d be super company.” I’m surprised to learn that if she had to choose, it would be savoury over sweet. “You can’t beat a good omelette,” she muses. I’m also a little surprised to learn that she’s very good at cleaning drains. “Maybe that’s not that surprising,” she laughs before adding, “but I kind of think it is.” On the subject of her strengths, she is evasive, preferring to give her ‘team’ the credit but adds, without much pause, that she is a very good teacher and a great grandmother. Why did no one shout stop over ‘that’ jacket?